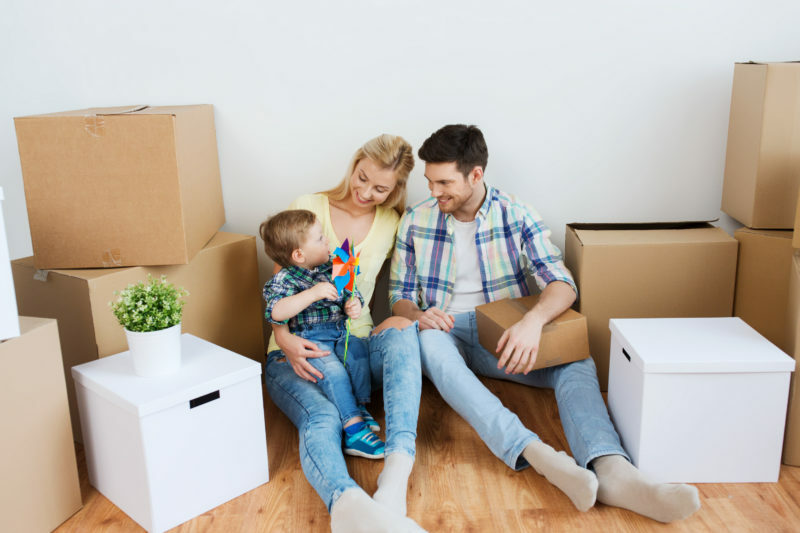 Moving to a new home is an exciting life milestone, but it can also be very stressful, especially for young families. From leaving old friends behind, to waking up in a new bedroom, these changes to a child’s routine can be a bit unsettling. But, as experts reveal, how kids handle this experience is a good indicator of their resiliency. All it takes is a few positive cues from mom and dad to show them how to embrace their new surroundings—and make room for more memories. It’s not uncommon to lose sight of the many different things that can cause a child stress before they’ve even set foot inside their new home. “Home is central to most kids’ experiences,” says Melissa Kull, Ph.D in applied developmental and educational psychology at the University of Chicago’s Chapin Hall. “It’s the center of their world and when they experience a move, it can cause a transition in other environments.” Starting over in a new school and having recess on a different playground signify a change in a child’s everyday routine. And for toddlers and preschoolers, even something like misplacing a favorite toy or blanket during the move can wreak havoc on their routines. “Young children may have a lot of babysitters, overnights at relatives or changes to sleeping and eating schedules,” adds Kate Dust, vice president of education at EduKids, an early childhood center in western New York (www.edukidsinc.com). To minimize potential stressors before a move, parents can help their child in a number of different ways. Dust recommends keeping calm in both your voice and action, especially with younger children. “Keep concerns about money, movers, worries about a new house or neighborhood in conversations with adults only,” she advises. As you prepare for the move, it helps to get kids involved. Dust says that three- and four-year-olds can help pack simple things of theirs like small toys and a favorite stuffed animal in light containers. And don’t forget to make time for fun, too. Once the last box has been sealed, it can be healing for families to commemorate their time spent in their old home. Delahooke suggests asking your child what you can do together: draw a picture, bring a plant or twig from your yard or take photos of your home. “You can also model saying ‘goodbye’ to the house and thanking it for the happy memories and ask the child if she wants to do the same,” she says. Regardless of what you do, it’s important to stress that while your home may be different, your feelings for each other remains the same. “Let them know that the love moves with you, and that will never change,” she adds. Or, as Dust suggests, save those memory-making sessions for your new place of residence. Transferring regular activities over to a new setting provides a continuum for a child, establishing that good times can be made wherever you are. “It is better to do something special in the new home [like] a backyard picnic…and put familiar home sounds and smells (cooking, candles, bubble bath) in the new home that were special in the old,” she offers. Even after setting up a new home, kids that have taken well to their surroundings may still long for their old room or friends. When this happens, Kull encourages parents to be extra sensitive. 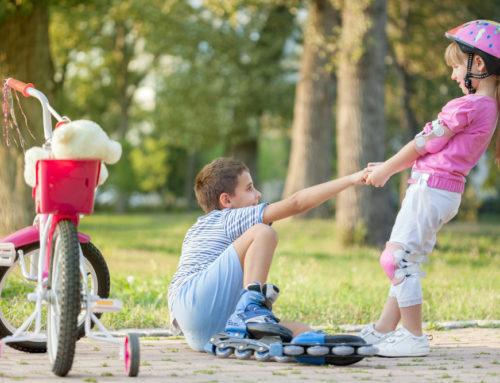 “Kids may need more support, and as with any kind of big life change, these are important opportunities for parents to teach them how to cope,” she says. Rather than losing your cool, Dust is a big believer in keeping calm and carrying on. “Don’t take it personally. Check your stress level and try not to react to everything under the reference of the new home,” she says. 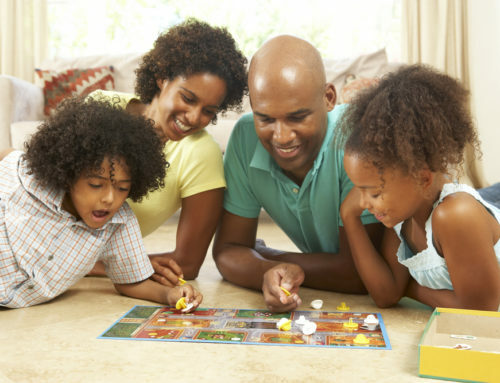 Redirect a three- or four-year-old’s mood by making him or her an active participant in cementing new memories. For instance, take of pictures of them around the house and frame them. Make use of your new yard by planting a garden or picking out planters and a flag for the front porch. In the end, Dust reminds us, these negative feelings are only temporary. “Be patient and understand that young children are more resilient than we are,” she offers.